Want to escape from the stress of the office? Why not go snorkeling with Downbelow just outside of Kota Kinabalu! 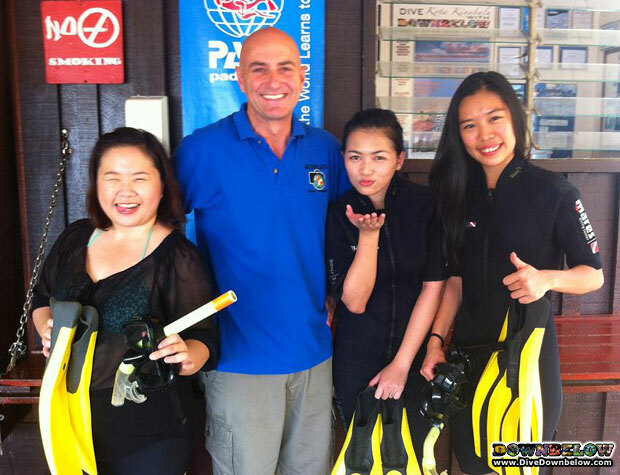 Our PADI 5-Star IDC Dive Centre is just 10 minutes boat ride away so there’s no excuse not to go. Take heed from the girls from Rasa Ria Resort who spent their day off wisely by checking out the marine life through our snorkeling safari program. Downbelow has been receiving good support from them and we hope after this fun outing, they will be even more eager to share their experience with their guests and colleagues as well! What about you? Escape from your stress even just for a day – it will do you good! Contact us today or check out all of our programs for both divers and non-divers on our website.